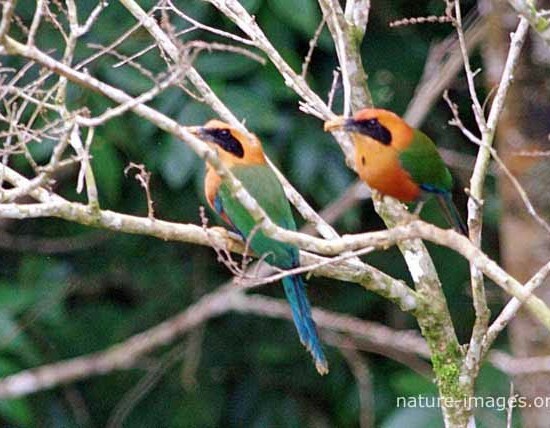 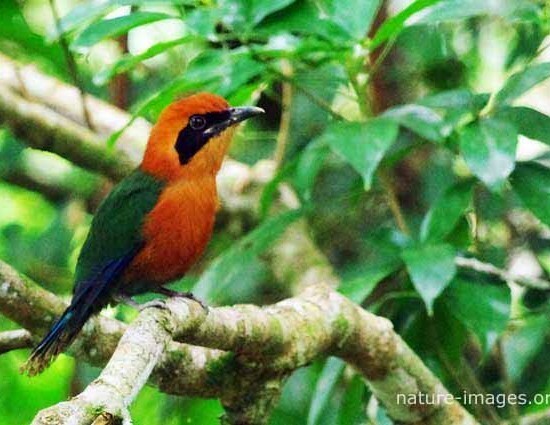 The motmots or Momotidae are a family of birds in the near passerine order Coraciiformes, which also includes the kingfishers, bee-eaters and rollers. 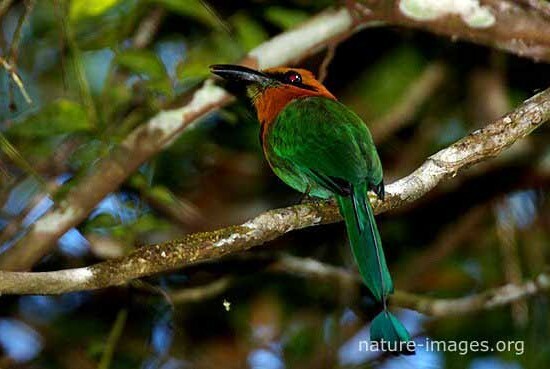 All extant motmots are restricted to woodland or forest in the Neotropics, and the largest diversity is in Middle America. 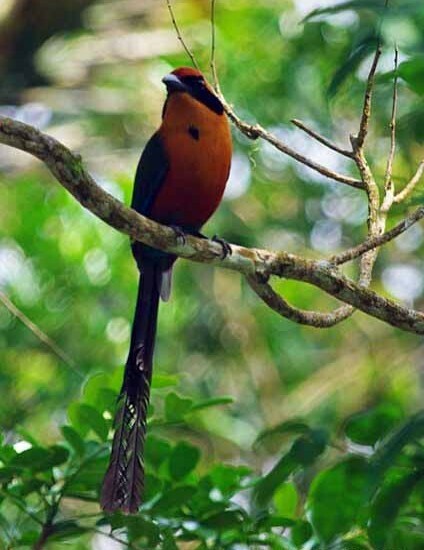 They have a colourful plumage and a relatively heavy bill. 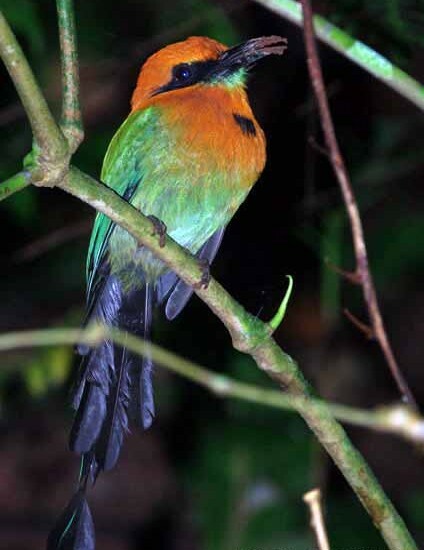 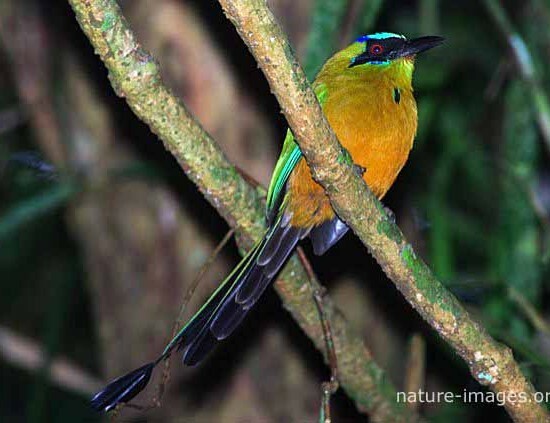 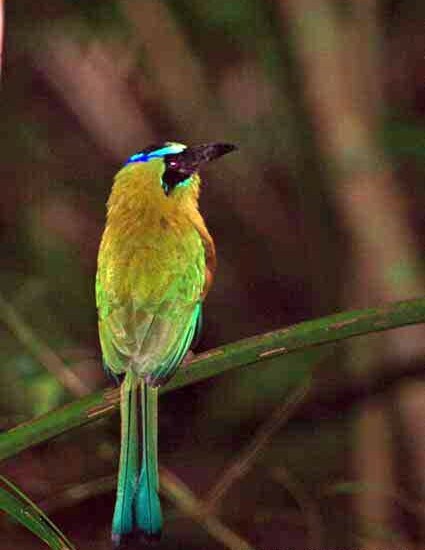 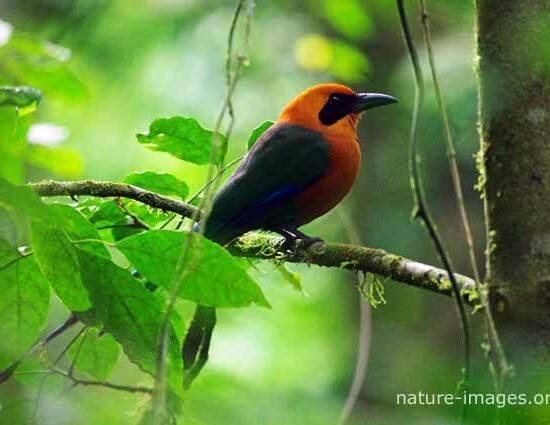 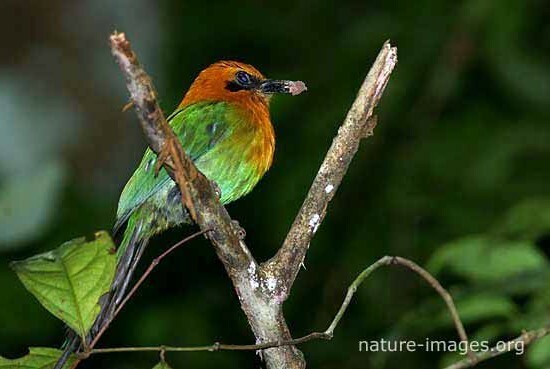 All except the tody motmot have relatively long tails that in some species have a distinctive racket-like tip. 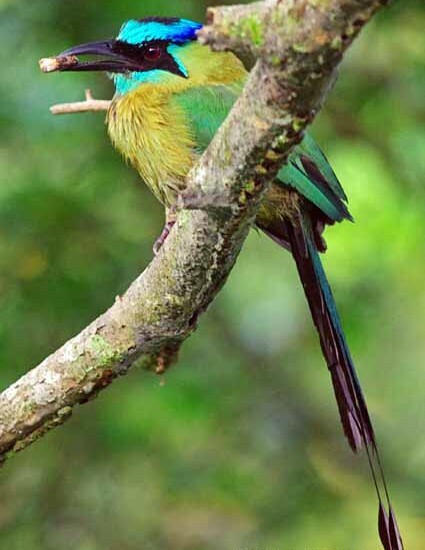 Motmots eat small prey such as insects and lizards, and will also take fruit.